An Art Exhibit for A Cause – Visions of Hope Foundation, Inc.
We cordially invite you all to Tommy Aquino’s “Auction for Cause” on December 17, 2017, 4PMat the Selah Garden Hotel. An innate talent was born on January 14, 1958, in the form of the young Tommy Aquino. He painted. He drew. He poured his heart out through music. And his early love for the arts propelled this young boy to be one of the Philippines’ most celebrated artists–also known as “Tommy Picasso” of the New Generation. 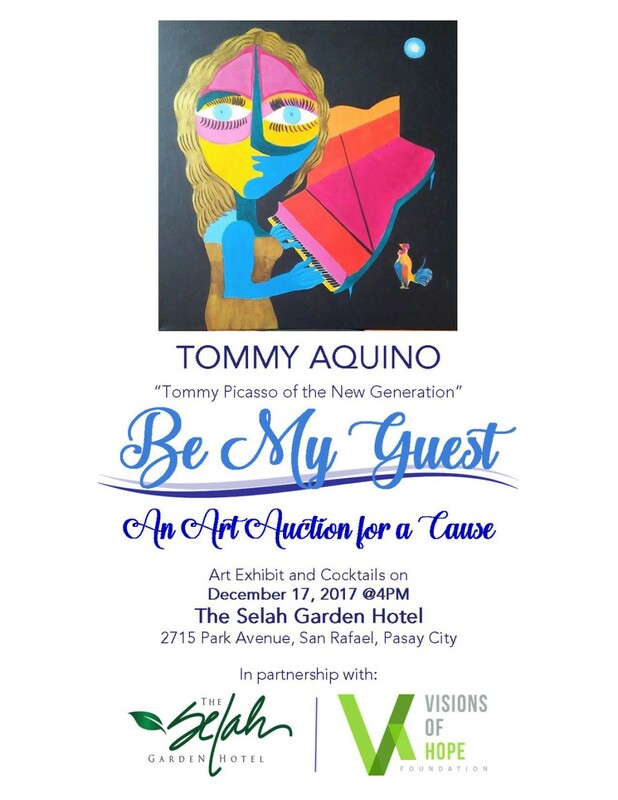 Having a deep love and compassion for the marginalized Filipino children, Tommy wishes to be a blessing to them through this exhibit and auction. Fifty percent of the proceeds of the sale and auction of his paintings will go to Visions of Hope Foundation, the children and youth ministry arm of Center for Community Transformation, a Christian Development Organization that provides holistic and transformational services to different poverty sectors in the Philippines. Please join us and celebrate Tommy’s artistry and take part in this great cause. Thank you Philippine Star and Ms. Domini for sharing our story and this cause.